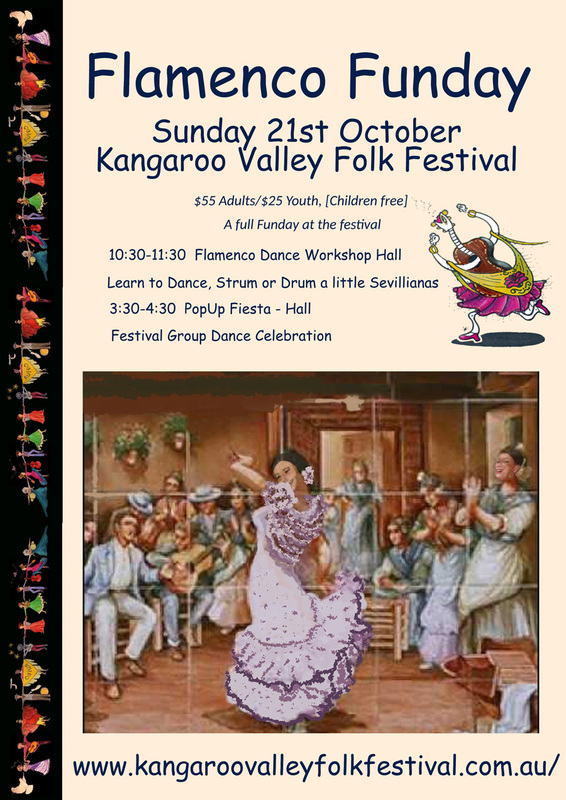 Sunday 21st October Ruido are hosting a Flamenco Funday at Kangaroo Valley Folk Festival. In the morning we will run a workshop for dancers and musicians combined. Our dance and music workshops are well loved by the folk festival community. All levels and ages welcome. In the afternoon we will celebrate with a pop-up fiesta, lots of dancing and revelry. Come and join in!